Celebrating the 50 year anniversary of the Association for the Advancement of Creative Musicians, NEA Jazz Master Jack DeJohnette reunites the great free jazz giants to emerge from Chicago’s powerful South Side collective of the early 1960s. The AACM became ‘A Power Stronger than Itself’, drawing from a bold mix of avant-garde jazz, classical, and world music to drive cultural innovation for black music. 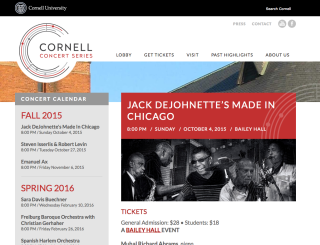 The band will be performing next Oct 4th at the Cornell University. All details in this link.